When Erno Rubik created the first ever Rubik's Cube in 1974 could he ever have guessed that it would go onto be the most popular toy of all time? The humble Cube has come a bit over the years, being redesigned, rebuilt, and also - as we're about to see - reformatted. Ever keen to put our flabby hands to anything but work, we took a look at two links in the chain of the Rubik's Empire, and discovered that there is more than one way to quickly move coloured tiles around. Happily, we tore open the Rubik's Void and the Rubik's Race. We're all very familiar with the traditional Rubik's Cube. 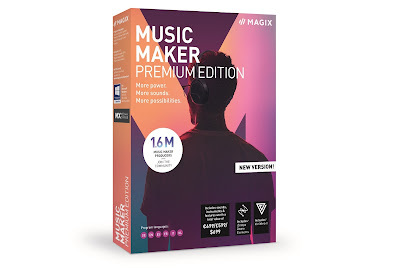 Although it seems like magic, we've all guessed at (or cracked open and gawped at) the internal workings at the centre that allow you to spin those coloured blocks around so easily. So, imagine if there was no centre to your cube and that you could see right through it. SURELY NOT?!? Surely so. 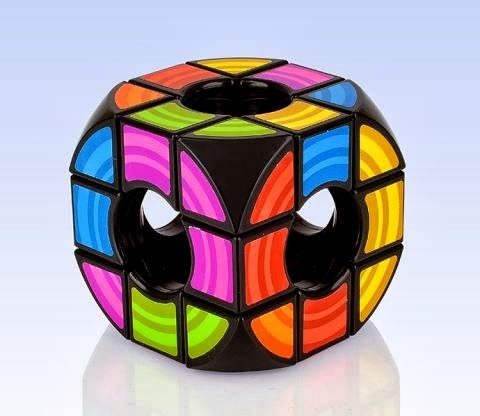 The Rubik's Void is a mind-bending twist on the classic toy, missing as it is the whole centre tile on each face allowing you to look right through. As you start twisting the rows of tiles around you really do wonder how it works. Sometime ago we reviewed, as part of this games feature, the Rubik's 2x2. At the time we thought that was pretty tough, but good fun. The Rubik's Void makes it look like Snakes & Ladders. We weren't sure if it was actually harder than a standard Cube, or if by having pieces missing it threw us slightly, but we honestly struggled with the damn thing quite a bit. When we finally did crack it (the puzzle, not the actual Void with a hammer - although we did get close at one point) we felt a massive swell of pride akin to the first tine we completed a Cube back in the 80s. This would make a great gift for a die-hard Rubik's fan looking for something a bit different, or if you just really want to see someone stare dumbfounded at an object for a while. The only thing missing from a Rubik's Cube is the ability to play it with someone else. That's fine and dandy for loners, but what about those who love nothing more than the sweet sight of your friends, family and children sobbing their hearts out because you destroyed them in a game? Now those people (those sick, sick people) have that chance thanks to Rubik's Race. Not a cube but rather a tile sliding game in which two players face off (literally) and attempt to race each other in solving the puzzle. It might look like Battleships, but Rubik's Race is actually a heart-pounding, anxiety-inducing test of speed and intelligence. We possess neither of those things in abundance. Simply shake the scrambler box to generate a 9x9 coloured pattern. Then, attempting to do it quicker than your opponent (who may or may not be 9), shift your tiles around like one of those old tile-slider puzzle games to create the same combination that the scrambler produced. The first person to do so in the centre of their board gets to slam the divider down and show off their winning work to their now teary-eyed enemy. Ha, in your face little girl! 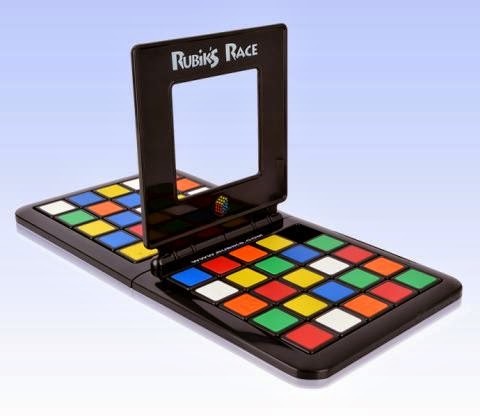 We found that the Rubik's Race was massively addictive and ended up challenging everyone we bumped into to a game. Loners will also love it as you can play 'Solitaire Mode', letting you practice the game and race against yourself. If you're into that sort of thing.